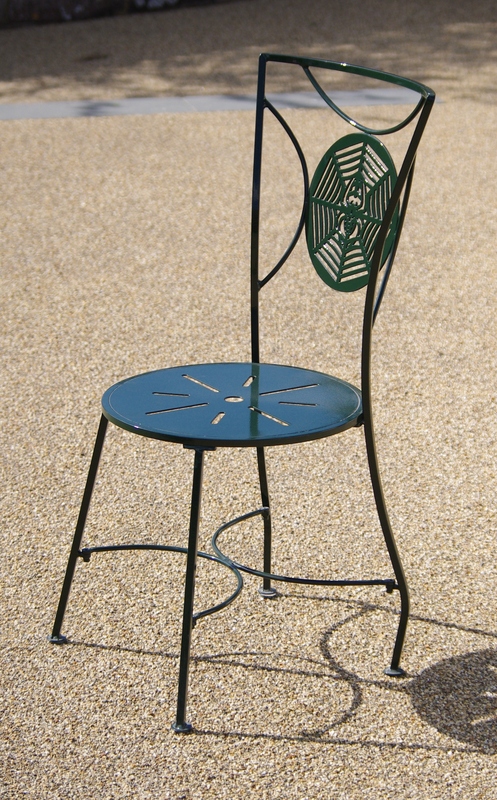 This pretty metal garden chair is part of the Garden Creatures metal garden furniture set. The garden inspired design has a different creature depiction on each chair with the table top featuring the last of the five designs. Creature patterns include a Dragonfly, Butterfly, Spider, Ladybird and Bee. Satin finished in a choice of either Soft White, Barley, Dark Green, Retro Green or Retro Blue. Also recently added, Metallic Silver, Metallic Copper and Metallic Bronze. Steel construction and anti-corrosion treated. Paint finished in either Dark Green, Light Green, or Cream. 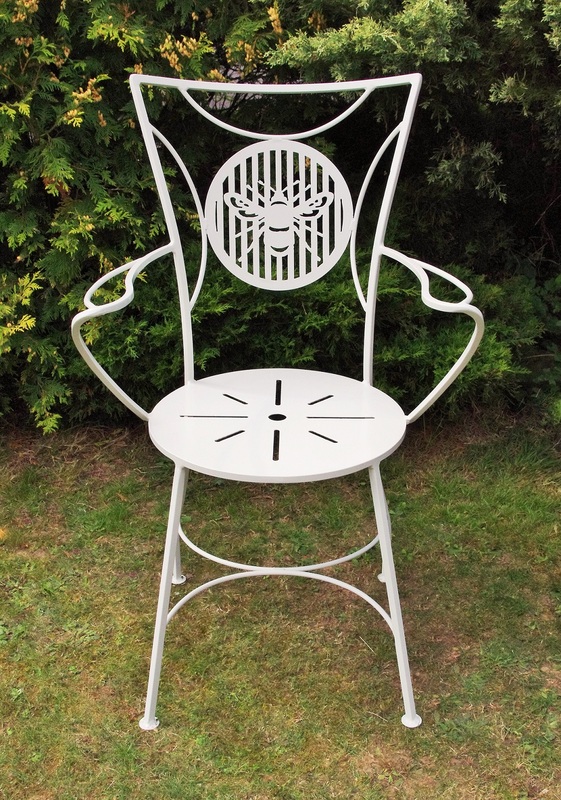 For Finish/Colour options see Garden Creatures garden furniture. Chair dimensions in cm – H 92, seat H 42, D 41. Wash down with warm soapy water when necessary. Free delivery within the Uckfield delivery area (up to 20 mile radius). Outside of that from £50. Please ask for a quote. Chair price £390. Carver price £440.